Martinez Vegetables is nestled between the hills and creek half way between McMinnville and Beersheba Springs. Instead of lending our considerable growing skills and knowledge to commercial agriculture we decided to start a family farm. Farming is a passion, a lifestyle, and what we are meant to do. We are committed to serving our kids Deriam, Felix Jr, and Esmeralda quality food and teaching them to grow it for others. 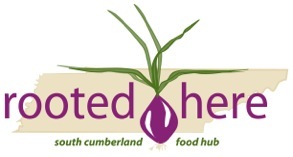 We have been pleased to provide produce to our community for many years and excited to now offer it the cumberland farmers market. Our produce is grown in healty soil that either requires minimum natural fertilization. One technique we use is to plant cover crops that fertilize and protect the soil in the off season. We save seeds for planting some crops and source the rest of our seeds from companies that are dedicated to NON-GMO, organic seeds. NO pesticides, fungicides, insecticides are used. That’s why you might see a few holes in the leaves (chard, kale, beet greens) and our produce is a natural size. We grow a wide variety of things – too many to name here. We are known for our tomatoes, peppers, melons, and lately strawberries. We hope to share some interesting herbs from our culture this year such as Ezpasote, papalo, and lemongrass. We have also expanded the variety of what we are growing based on what YOU or customers like. We hope you enjoy our delicious vegetables and fruits. We do all the work ourselves without any hired help. Therefore, we can assure the produce you order is grown to our own high standards.